This annual Belleek ornament is the 32nd in the series, introduced in 2019. 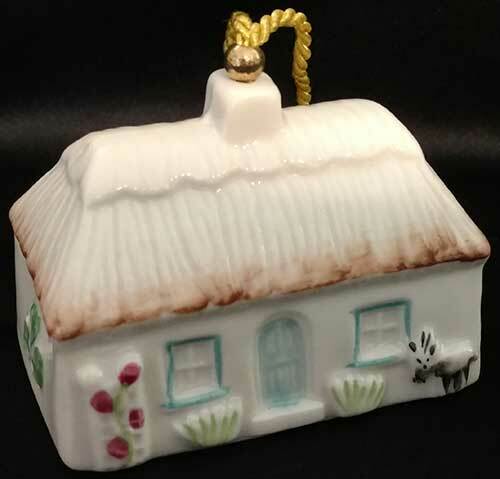 The fine Irish china Azalea Cottage ornament from Belleek is the 32nd in a series and it is the Belleek China 2019 annual Christmas ornament bell. 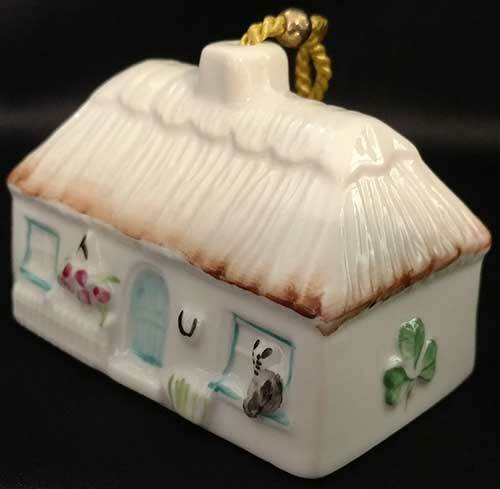 The Belleek Irish cottage ornament evokes characteristics, such as the embossed basket of azalea flowers, that are inspired by the cottages of farmers and laborers. 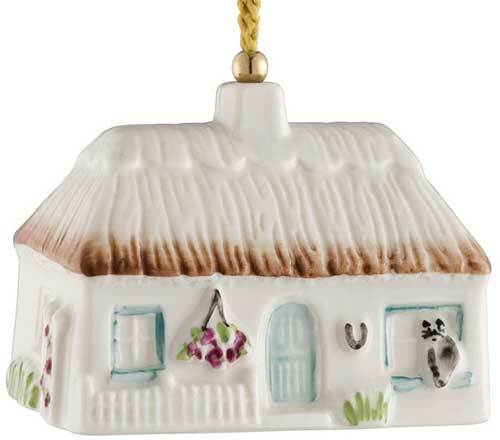 The Belleek ornament is further enhanced with an embossed cat in the window, along with a goat at the rear of the home. Additionally the cottage has a hand-painted green shamrock along with embossed windows and doors. The Belleek annual ornament measures 2 3/4" long x 1 1/2" wide x 2" tall and it is hand painted and hand crafted in Belleek, Ireland. The annual Belleek Christmas ornament is gift boxed with a shamrock history card, complements of The Irish Gift House.